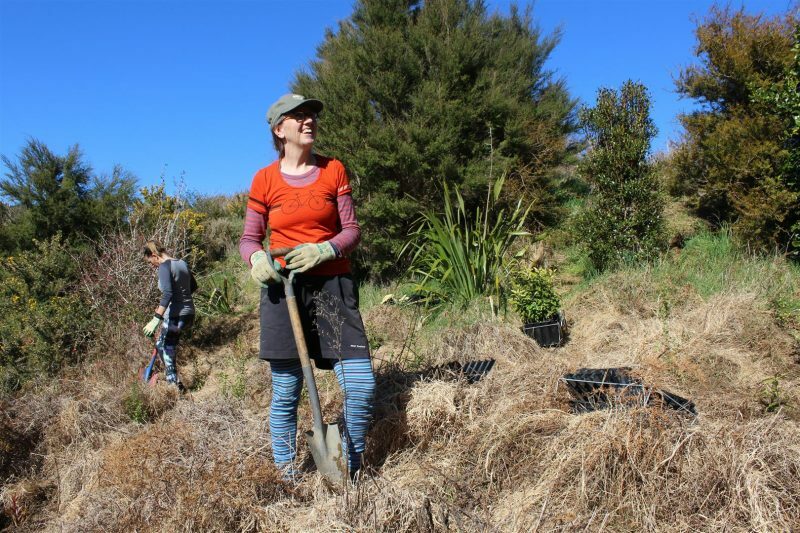 On Wednesday, 29 August 2018, I went back to work after a long weekend planting trees in Golden Bay as part of project Rameka. In my head, I could still feel the earth between my fingers. 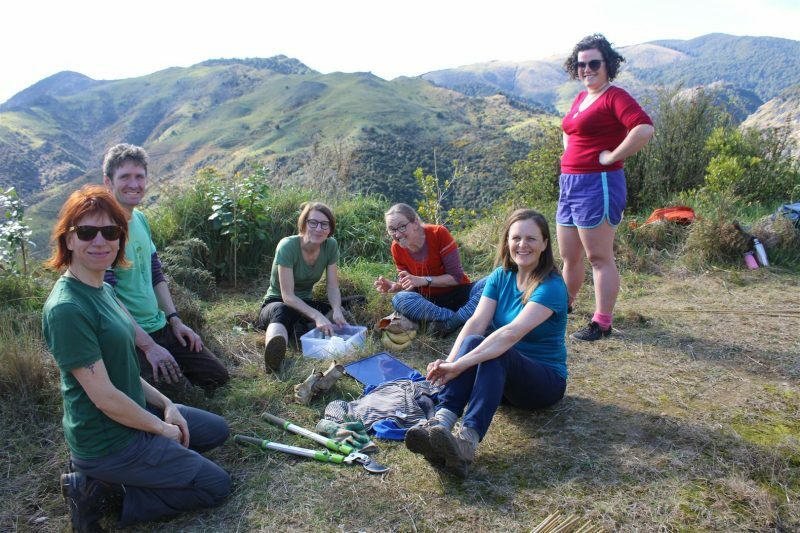 Nicole, Jonathan, Sonja, Bronnie, Kate and Perrine take a well-earned lunch break during the Saturday planting session. 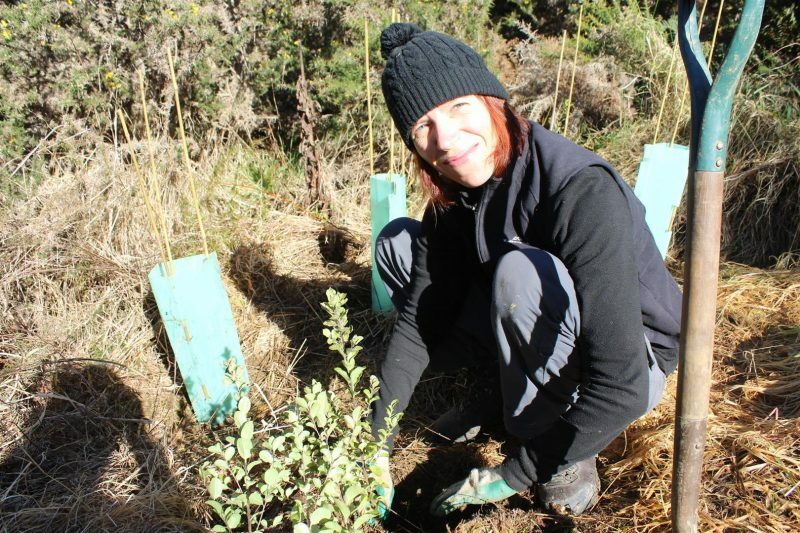 Turns out planting trees with a group of caring, like-minded people doesn’t really feel like work at all. 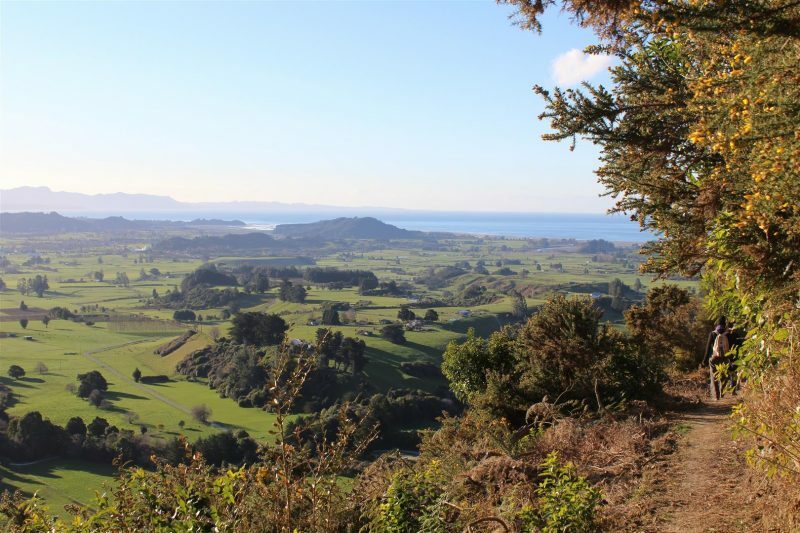 The weather – glorious as it often is in Golden Bay (at least in summer) – helped of course. 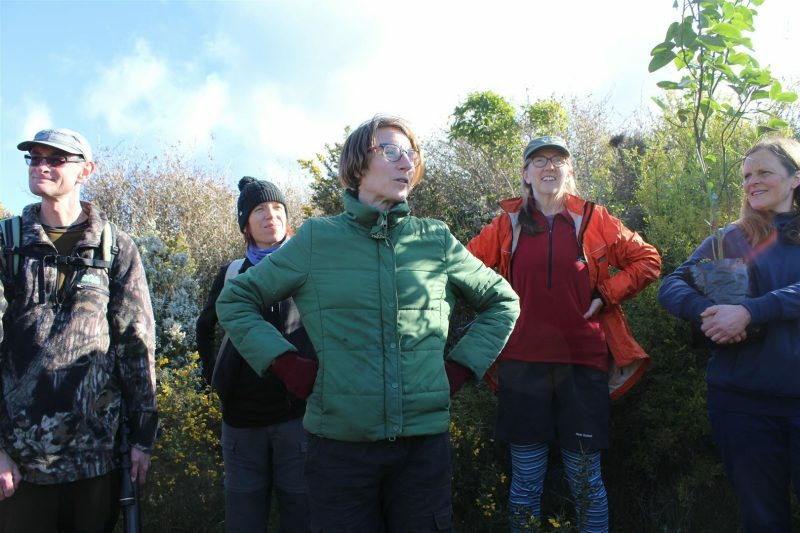 We planted over 300 trees and still had plenty of spare time to have a look around, play games and share food over long conversations. This was the first time I met Jonathan and Bronwen, the creators of Project Rameka. Jonathan carries a miro and a rimu to their new homes. Bronnie pretends to be digging diligently. Archie, Amy and Ruby take a well-deserved break from the planting to contemplate their efforts. Over the weekend, I learnt how it all started and came away inspired and in awe. 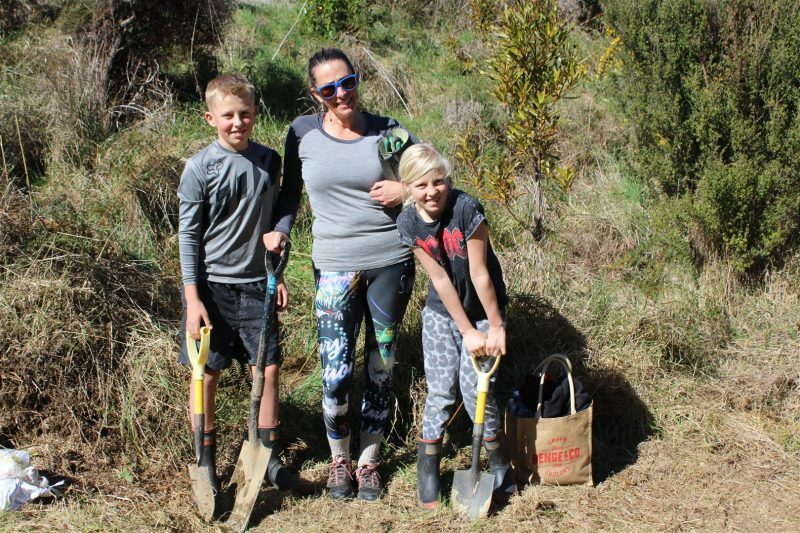 Setting up and running a project like this takes courage, persistence and commitment, and Jonathan and Bronnie do it with a spirit of care, humbleness and community-mindedness. 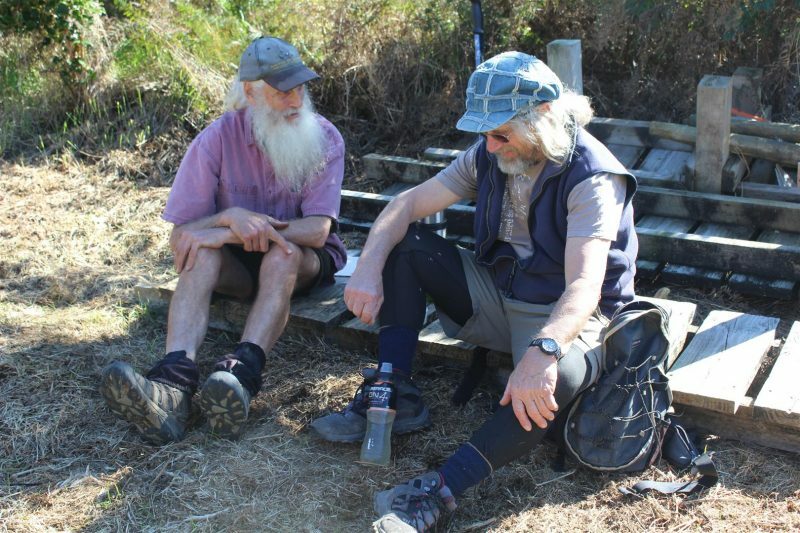 I met two locals involved with the project, Matt and Paul, both of who were knowledgeable and committed to the project – I’m glad I met them. Matt Shoult shows the team around the project. Paul Kilgour and Andy Cole discuss the finer points of planting at Rameka during their lunch break on the Sunday planting. 2. 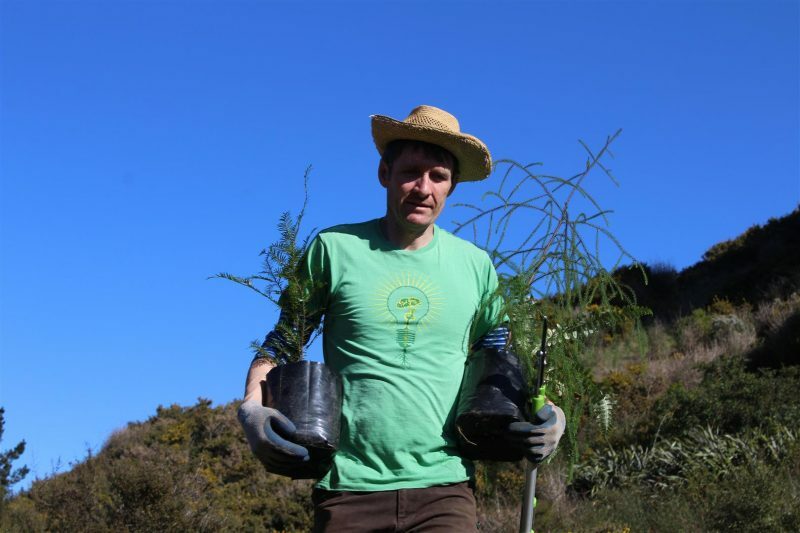 The forest will regenerate itself when weeds and pests are kept under control (easy as, I say – thanks, Matt!). 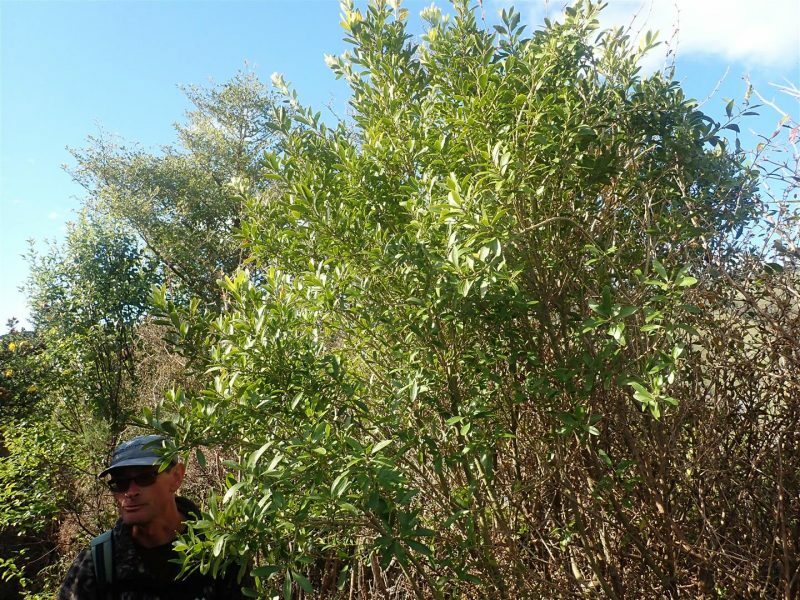 Matt stands next to a rare Melicytus obovatus species that he discovered on the project – a very exciting find! Nicole Benkert gets her hands into the earth at Rameka.